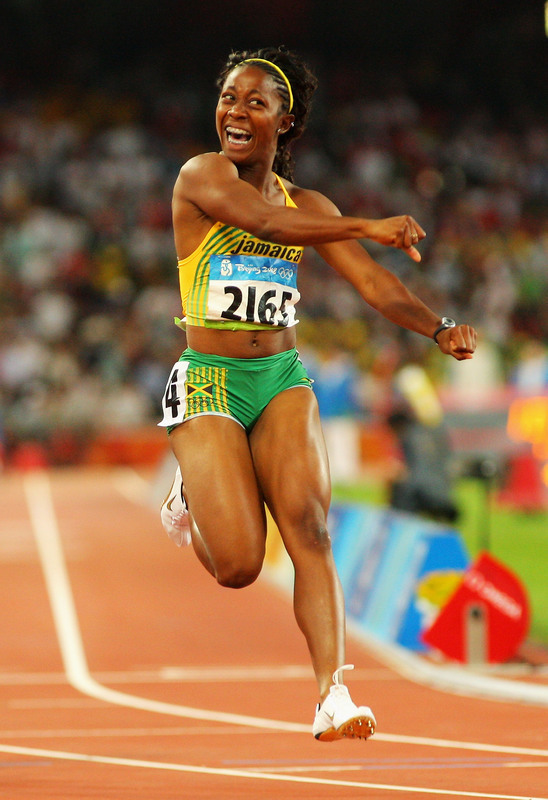 Jamaica made Olympic history by sweeping the medals in the 100m for women at the 2008 Olympic Games in Beijing China. Shelly-Ann Fraser, Sherone Simpson and Keron Stewart underlined Jamaica’s position as the top country in sprinting in the world. Jamaica will recive 1 Gold medal and 2 silver medals as Keron Stewart recovered well from a slow start to fight her way to the line tieing with Sherone Simpson to the line. Congratulations to team Jamaica who’s medal haul stands at four so far in the beijing games after Usain Bolt’s sensational run in the 100m finals for men.